In Wamego Kansas where they have the Tulip Festival every year they also have an old Dutch Mill. I was looking for my info on it and noticed that the Redbud trees that are in my previous images of it are now gone. I wonder why they removed them. Anyway, this is a 3 shot vertical panorama done with my 70mm lens. 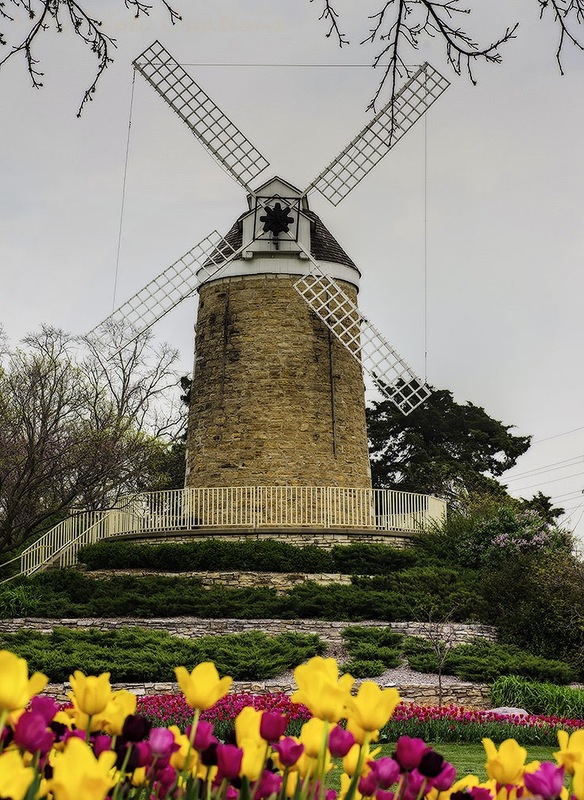 A Mill in Kansas with Tulips is a rather unique sight I think but made for a lovely one.